Yoga traditionally was part and parcel of the Sikh Dharma until the coming of the British. In the Sri Guru Granth Sahib, the Gurus along with the Bhagats and Bhatts have made many references to Yogic technology. When the British annexed Punjab in 1849, they would usually classify the Sikhs as a sect of Hinduism. During these times, a Sikh reform movement known as Tat Khalsa came into existence. In their efforts to present the Sikh faith as a distinct religion, they disassociated themselves with many of the practices that they viewed as having a Hindu influence on the Sikhs. It was during these times that Yoga, along many other practices, started to be discouraged in the Sikh community. What many Sikhs don’t know is that prior to this, the five older Sikh Traditions known as Puratan Sikh Sampardas had always considered Yogic Practices as part of Sikhi. Even today, most Udasi Sikhs and Nirmala Sikhs still practice Yoga. The Udasi tradition was founded by Baba Sri Chand, the elder son of Guru Nanak. He was a Baal Jogiswar, who lived to 151 be years old but always looked like he was 12 years old in his appearance. He was one of the world’s greatest acknowledged Yogis. He was always in his subtle body. Very few people met him in physical form, but everywhere he appeared in his radiant body, in perfect form and shape. When Guru Nanak Dev Ji returned from his 4th and last Udasi (journey), he presented his Udasi robe to Baba Sri Chand. Baba Sri Chand continued the tradition of Udasis (journeys) and went as far as Afghanistan, Tibet, Nepal, Assam, Bhutan and all over India to continue spreading the message of his father. Guru Nanak himself crowned Baba Sri Chand as a Yogi, to take care of the Yogis, who were bothering the householders with their occult powers. While Gurgadee was passed to Guru Angad Dev, Udasigadee was bestowed upon Baba Sri Chand. He accepted the responsibility given to him by his father and Guru to unite the various Yogic schools of India. He was revered by Muslims, Sufis, Lamas, Hindus, ascetics and householders alike. with the intention of testing him. Hearing this guru looked at the ground. Hear, oh great son of my Guru”. Baba Sri Chand in return bowed at the feet of Guru Ram Das. Under Baba Sri Chand’s guidance, the heads of all the schools of yoga (which he had united under the instructions of Guru Nanak) also came and bowed to Guru Ram Das. This sealed the future. From that moment forward, the lineage of the royal throne of Raj Yoga would come through the subtle and radiant bodies of Guru Ram Das. 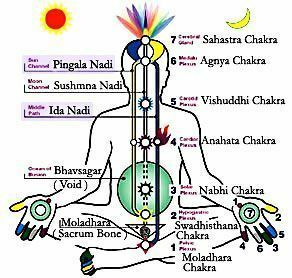 Thus Kundalini Yoga as Raj Yoga was brought through the House of Guru Ram Das, and got ‘coloured’ with the Sikh consciousness. The Nirmala Sikh tradition was founded by Guru Gobind Singh. He sent five Sikhs to Benaras, which was the centre of learning in those days, to learn all the ancient technologies of Yoga, Astrology, Ayurveda, Numerology, Vedanta, Viakaran, Khat Darshan etc. When these Sikhs returned, Guru Gobind Singh bestowed the title of Nirmalas upon them which means the pure ones. They began to impart the Yogic knowledge, along with the other technologies they had mastered, to the Sikhs by setting up different schools throughout India. It is recorded in Sikh history that great Sikhs like Baba Deep Singh and Bhai Mani Singh who were the jewels of the 10th Guru’s court were the Nirmala’s students. To date there still exist yogic writings written by these Nirmala Saints that are being preserved in their ashrams in the different states of India.